The P-1200 subwoofer was designed for exceptional performance and value. 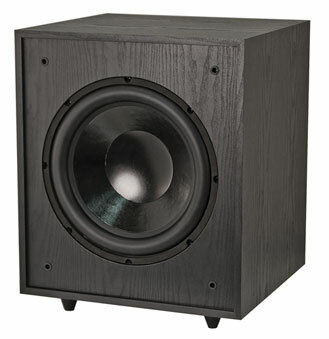 It features a 12'' extra-long excursion woofer with high BL motor. 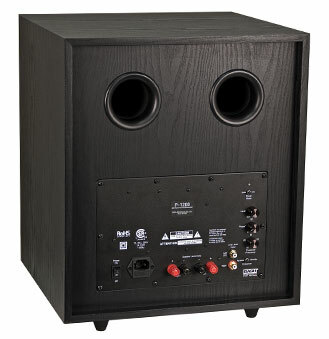 The bass reflex enclosure with flared port ensures extended bass response and high acoustic efficiency. The woofer is driven with an integral 300W class A/B amplifier utilizing the patented BASH® technology for high electrical efficiency. 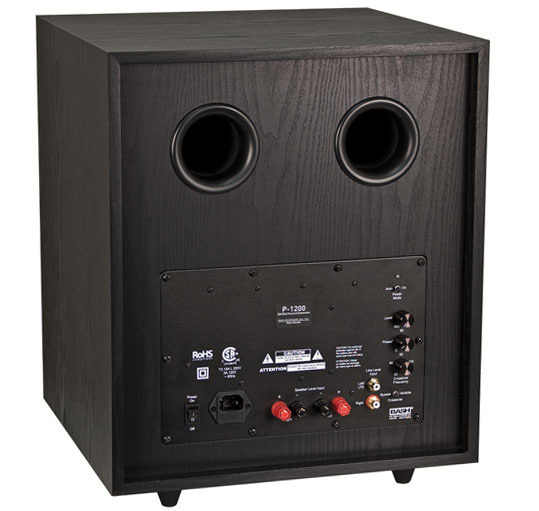 The integral rear-mounted 300 watt amplifier includes level, phase (continuously variable 0-180°) and crossover control to contour the subwoofer’s output to blend with virtually all loudspeakers and room environments. The integral low pass crossover network is continuously-variable from 40Hz to 120Hz and can be bypassed if it is preferable to use an external crossover located in an outboard receiver or processor. The P-1200’s integral amplifier incorporates a defeatable signal-sensing circuit that automatically powers up the amplifier when a signal is detected. A double-insulated isolated-ground electrical supply prevents electrical ground loops and reduces the noise floor of the entire audio system.